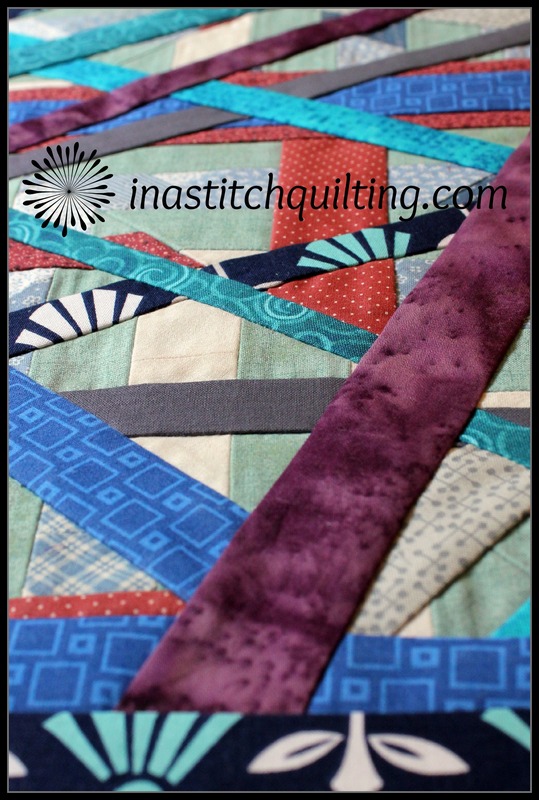 A quilt is not a quilt until I say so! When we last chatted about this never-ending Blue House renovation I absolutely didn’t like what I saw. It was no more beautiful, in my eyes, than the original version. In fact, I almost would say I disliked it even more. But, let’s not go that far. I had a bad case of Deja vu. 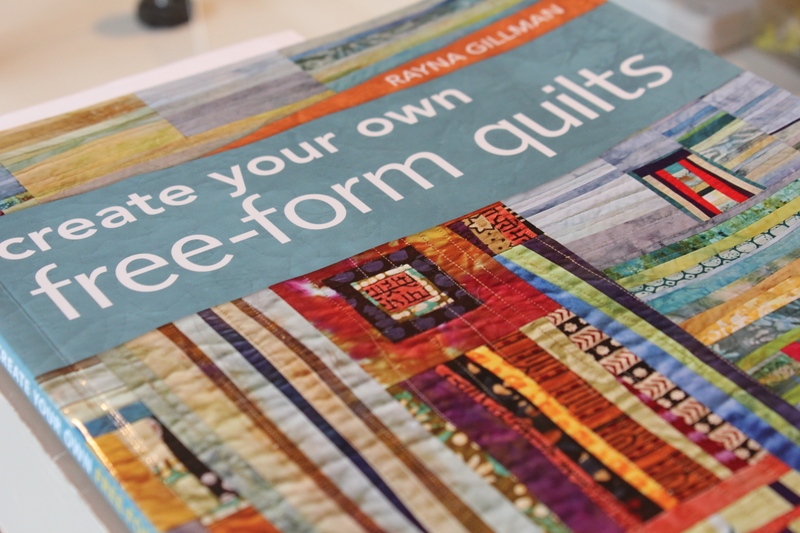 The author of the book create your own free-form quilts, Rayna would tell me to keep slicing, keep adding fabric until you like it. So out came the seam ripper and the rotary cutter. The borders were removed first and cut into smaller segments. The center panel was subjected to slice after slice, after slice. After each slice a new strip of fabric was added. No two strips were identical in size, color or shape. By the time I was finished, what once was an easily identifiable Blue House had turned into tiny remnants. Anyone not familiar with the quilt’s origin would not be able to tell it had once been an ugly Blue House. My new creation was unlike anything I had ever made before. I had tiptoed into new waters and survived to tell about it. This quilt was by no means finished. I had borders and embellishments to add as well as quilting, a label, a quilt sleeve and a binding. Better leave that until next time. Note: If you would like to read about the journey this quilt has taken so far you may read about it here, here, and here. I can’t wait to see it. Also, I found a link with the first “here,” but not the other ones. Melanie, I have added the other links. Thanks for commenting! I can’t wait to see your new creation Cindy! Well hello there! So nice of you stop by and add a comment. Well I hope you like it when it’s finished. Drop me a private message and tell me how you are doing. I would love to catch up!